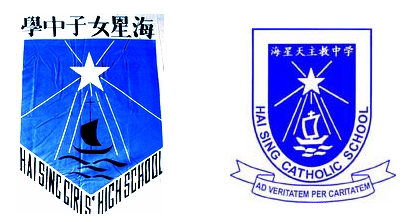 Hai Sing Girls' High School (海星女子中学), a Catholic Chinese-medium school, was established by the Sisters of the Franciscan Missionaries of Mary in 1959. The school grew out of a vision to provide secondary school education to the girls in the rural area of Upper Serangoon district. In 1978, Hai Sing was named one of the 14 outstanding Chinese secondary schools in Singapore. In 1981, the Chinese-medium school became an English-medium school. 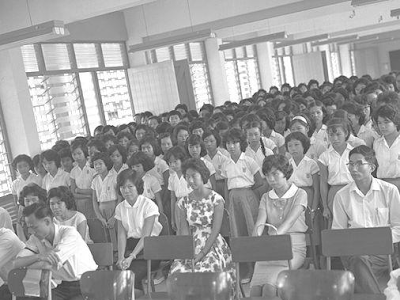 The school was renamed "Hai Sing High School" when it began to accept boys in January 1990. In March 1990, it was relocated to Pasir Ris Drive 6, and declared open on 11 July 1992. It was renamed "Hai Sing Catholic School" in 1999 to reflect its Catholic roots. Let our motto be Truth & Charity. Hai Sing shine forth For all to see.